Is it possible for a woman to have one too many sling bags? Well the answer is NO! 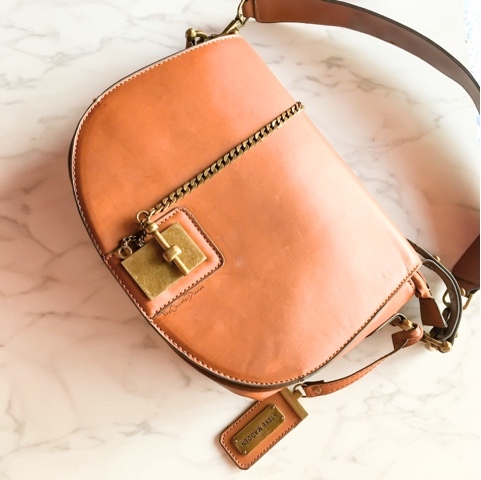 This camel colored cross body bag from Steve Madden is one of the perfect minimal bags you can own. You can team it up with your bodycon dress or a comfortable pair of jeggings and crop top. The chain detailing on the bag makes it seems even more appealing and makes it perfect to carry around during an casual outing without making it look OTT. Fragrances have been one of the most common and safest gifting options since forever, making it a must add option to this list. In the past I have been an ardent Oriflame makeup and skincare lover but it wasn't until recently that I stumbled upon the Oriflame fragrance collection. I recently tried their So Fever fragrance and I am absolutely lovestruck. 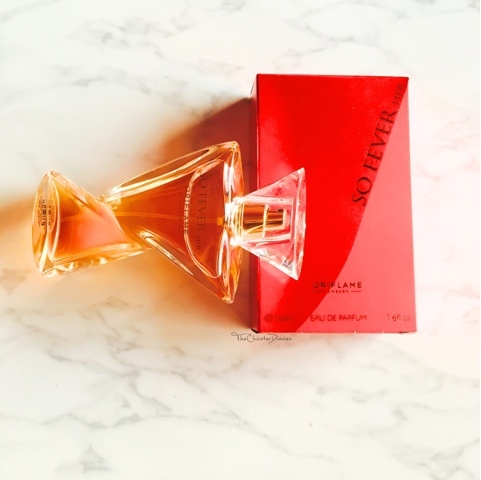 The So Fever fragrance for Her is an electric evening wear perfume which is a blend of some warm floral and fruity notes just the way I like it. I have received many compliments because of this perfume and honestly couldn't stop recommending it to my friends. This perfume is not for the weak hearted but if you enjoy powerful and mesmerizing scents then you ought to add it to your kitty. 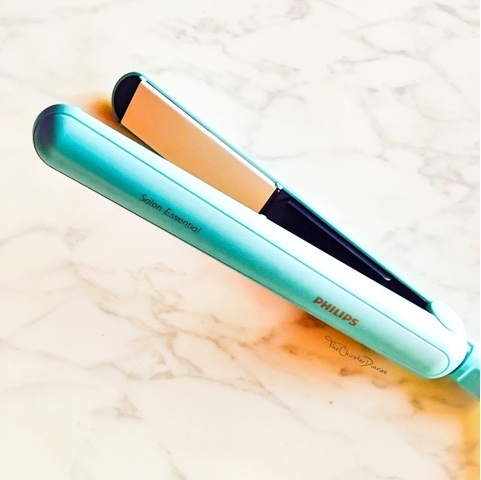 The PHILIPS HP8313/00 Easy Straight and Shine Straightener is a compact little straighter that will make your life seem simpler while you are travelling. All good things come in small packages and that is definitely the case with this straightener. Even though its smaller in size compared to the other straightening tools you have come across but it still does the wonderful job of styling your hair while giving it a natural look. 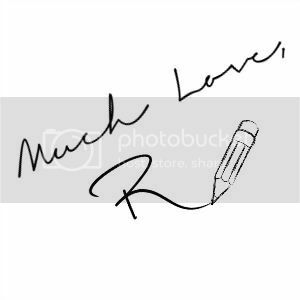 Also, the lovely sky blue color and the pocket friendly pricing definitely makes it a suitable gifting option. 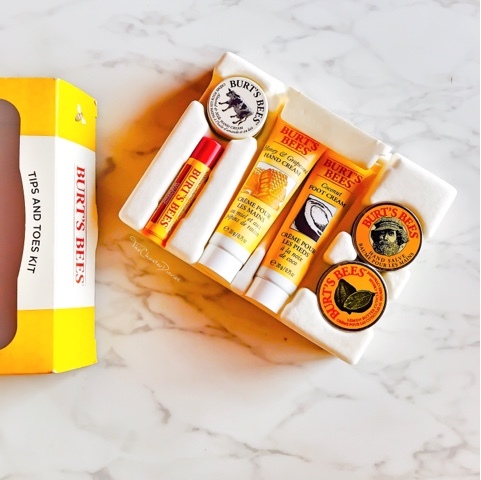 The Forest Essentials gift box is an ideal gift for someone who hasn't yet tried the brand as it contains a bit of everything. I personally like the idea of travel kits as they are convenient to use while travelling and make wonderful gifts. Also, the cute packaging is an add on bonus. 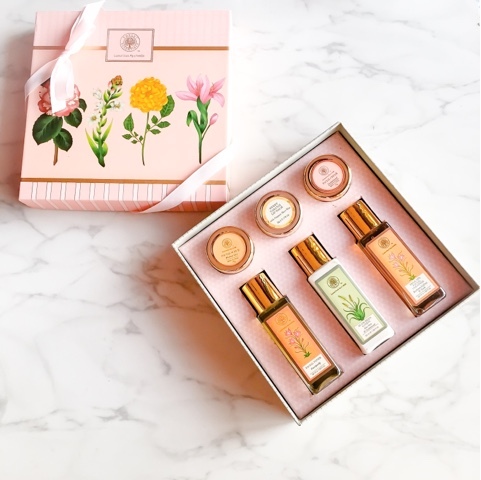 This particular set by Forest Essentials is my favorite as it contains everything you need to pamper your face. The set comprises of the delicate Facial Cleanser Kashmiri Saffron & Neem (50ml), Aloe Vera & Sandalwood Sunscreen Lotion (50ml), Panchpushp Facial Toner Mist (50ml), Walnut Gel Facial Scrub (15g), Sandalwood & Saffron Night Treatment Cream (15g) and my favorite the Kokum Butter & Honey Lip Balm (5g). The Fujifilm Instax mini 8 is a retro point and shoot camera that helps you capture memories and print them on the go. The packaging of this product is an absolute delight and kinda reminds me of the Instagram logo with the chunky lens and buttons on it. These cameras are available at the moment in 8 attractive colors of which the Rose Quartz color (also the Pantone Color of the year) is my absolute favorite. The Instax Mini 8 bundle comes with a Instax Mini 8 camera, a pack of twin films, batteries, photo bunting along with some colourful stickers to make the pictures even more fun. Along with this kit Fujifilm has introduced two more kits this festive season- Mini 8 Festival box and the Mini 8 Party box, that would also serve as a great gifting option for your loved ones. I had got this watch as a birthday present from my mum and I am absolutely in love it! 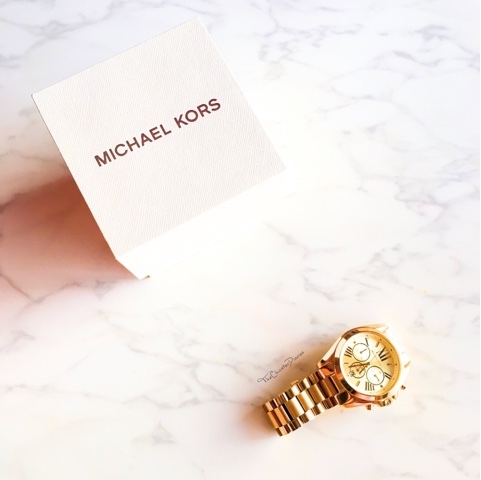 The classy gold dual tone watch is a perfect accessory that you can pair with your comfy casuals or classy evening wear outfits. The watch is not too big but is rather perfect enough to make a statement, you can even pair it up with bangles and bracelets to make it an arm candy. This minimal yet smooth on the eyes piece of jewelry has fetched me a lot of compliments in the last few months that I have been wearing it. I had got this gift set last Christmas from a friend of mine and I loved it so much that I decided to repurchase it again. This kit contains pretty much everything you would require to treat yourself to a mani-pedi day at home. The kit certainly makes a good impression in terms of packaging and overall can be considered a good value for money. However, if you would rather go for single full sized products as stocking fillers then I would highly recommend you to go for the pomegranate lip balm and the lemon cuticle salve. Excluding that this set also contains the Almond & Milk Hand Cream (0.25 oz), Hand Salve (0.3 oz), Thoroughly Therapeutic Honey & Grapeseed Hand Creme (0.75 oz), Coconut Foot Creme (0.75 oz). Over the last year everyone I know has been going gaga over these lip kits making it only fair for me to add them to this list. This lip kit has been introduced by the famous Kylie Jenner and claims to help you achieve the 'Kylie Lip' aka the Perfect Pout. 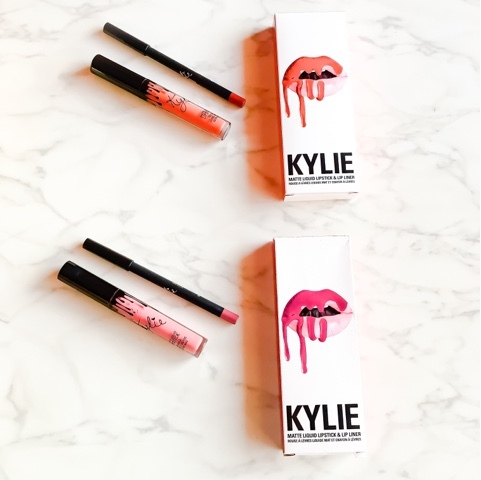 Each Lip Kit comes with a Matte Liquid Lipstick and matching Lip Liner. I have tried a few of the shades from the collection, amongst which Posie K and Ginger are my absolute favorite. Posie K is a cool mid-tone berry. While as Ginger is a warm terracotta brown. The creamy long wear lip shades have been definitely my favorite matte lippies all year around and without a doubt will surely be the perfect gift for any makeup lover like me. I have enjoyed giving and receiving the Kama gift boxes in the past year and may I add this is one of the few brands that I bet will suit most Indian skins as it is Ayurvedic in nature. 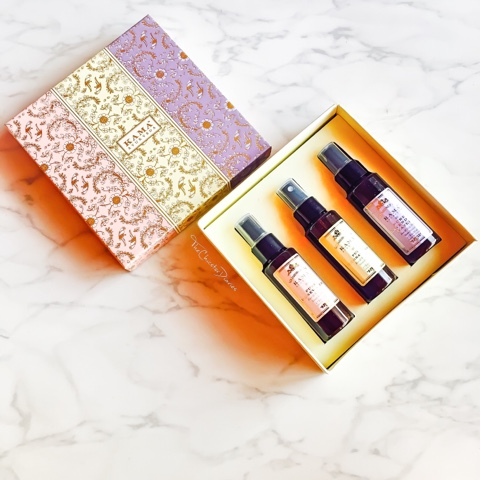 This particular gift set comprises of 3 pure floral mists that are prepared by steam distillation process and will help your soothe and refresh. When I saw this particular set as a part of their Christmas collection online I decided to treat myself and added it to my cart. As of yet I have tried the Mogra water and the Rose water and I am absolutely in love with them both. I always carry these bottles while travelling and they are so convenient to carry around and also skim thru security checks without an issue. When I saw this candle online the only thought that crossed my mind was that, this will be a lovely Secret Santa gift. Right from its beautiful winter oriented choice of fragrance to its beautiful, brass votive everything certainly seems very festive to me. Currently there are 2 fragrance options available to choose from, of which I opted for Cinnamon with a hint of Orange and it certainly did smell like Christmas in a jar to me. 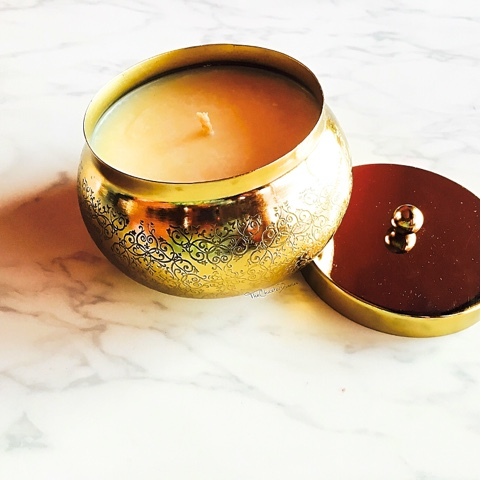 The candle has a prominent citrusy scent that blends well with some warm and spicy undertones. Along with this scent they have another festive fragrance called Apple Cinnamon Spice which I cannot wait to try! This handcrafted, eco-friendly candle is made up of natural vegetable wax blends and is paraffin free. Also, the glass packaging is recyclable and the company organizes pickups of glasses to recycle. They also offer discounts to clients who exchange the votives. Hope this list will help you with some last minute gifts or some treats that you would like to add to your wishlist. Also in the comments section below, do recommend some last minute gift ideas that you think would be perfect? very helpful post ... not only for Christmas but also for the other occasions we can follow this gifts guideline thanks for a awesome post. I will bookmark this post :) thanks again. 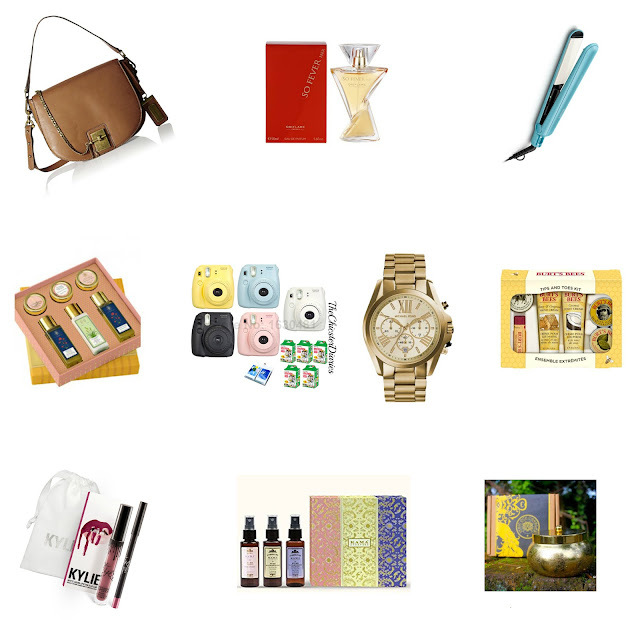 Awesome gift ideas that are great for any occasion. very nice! Do one for men too! That's where i get stuck. gifting men is a nightmare! 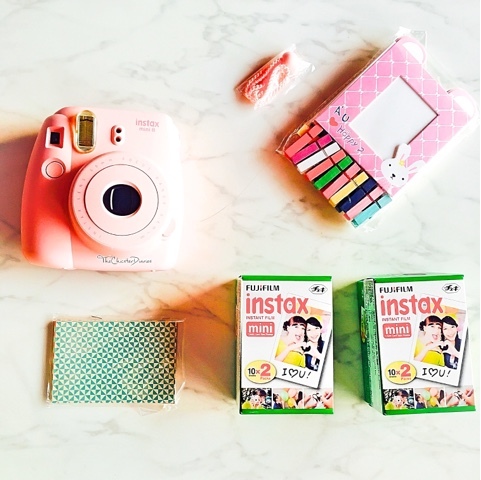 amazing post :) i highly recommend the instax too !